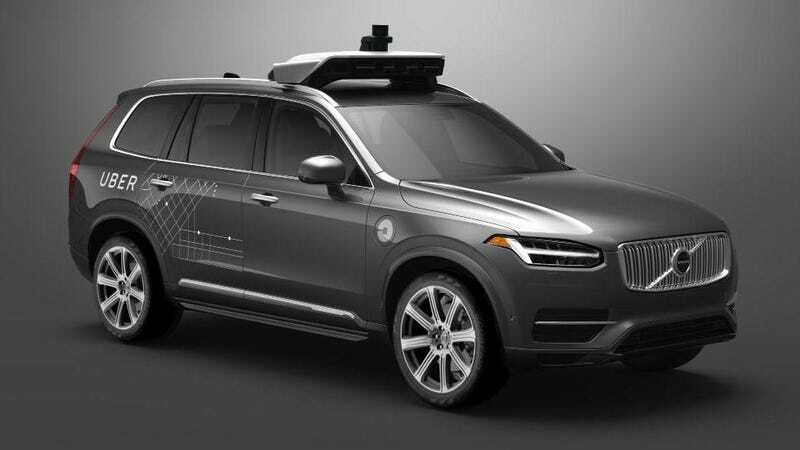 Ever since Uber’s autonomous Volvo XC90 test car fatally struck a pedestrian in Tempe, Arizona last week, many people familiar with modern car technology have asked this: why didn’t Volvo’s own automatic braking or crash avoidance systems kick in? Now we know. According to one supplier, Volvo’s standard systems were disabled for the Uber cars. The state of Arizona is finished with Uber’s self-driving car test program. This comes to us from Bloomberg, which spoke to supplier Aptiv Plc, the company that makes the radar and camera systems for Volvo. A spokesman for the company stuck up for its technology, effectively saying what’s on the Uber cars has nothing to do with the systems on commercially available Volvos. “We don’t want people to be confused or think it was a failure of the technology that we supply for Volvo, because that’s not the case,” Zach Peterson, a spokesman for Aptiv Plc, said by phone. The Volvo XC90’s standard advanced driver-assistance system “has nothing to do” with the Uber test vehicle’s autonomous driving system, he said. Aptiv is speaking up for its technology to avoid being tainted by the fatality involving Uber, which may have been following standard practice by disabling other tech as it develops and tests its own autonomous driving system. Additionally, the story says, tests by safety tech company Mobileye revealed its own systems would have been able to detect the pedestrian one second before the crash based solely on the dash cam video, Bloomberg reports. Last Sunday, a self-driving Uber Volvo struck and killed 49-year-old pedestrian Elaine Herzberg while she crossed a busy street at night. Its human minder was later revealed to have been looking down prior to the crash. While it would have been somewhat understandable for a human driver to miss a pedestrian crossing the road in the dark, many of today’s cars—including the Volvo XC90—have cameras, radar, sensors and automatic braking systems designed to detect and prevent exactly that kind of accident. In other words, even if a human couldn’t have seen Herzberg and stopped in time, one imagines the Volvo should have been able to. The accounts from Aptiv and Mobileye are yet more evidence that Uber’s autonomous tech wasn’t up to par with that of competitors, and possibly should not have been on the road at all. Uber’s cars were revealed to require far more “interventions” by human minders than ones made by Google’s Waymo and others, and as Jalopnik reported last week, the company recently switched to only using one human minder instead of two. Until these supplier accounts came out, neither Volvo nor Uber were especially forthcoming about whose technology did what in this crash, and probably for good reason. The question of responsibility here is a major one. When pressed for further clarification, he did not respond. Uber also did not respond to questions about the technology from Jalopnik. At the very least, the cars won’t be an issue on Arizona’s roads anymore. Last night Gov. Doug Ducey ordered the state’s Department of Transportation to rescind Uber’s testing on public roads in the state. Uber meanwhile continues to halt all testing, as it has since the crash occurred. Clarification: This story has been updated to better reflect how Mobileye’s review of the crash went. Mobileye does not state that the system would have detected the pedestrian one second before the crash, but that it was able to detect the pedestrian before the crash using only the dashcam footage Uber released.